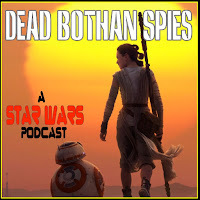 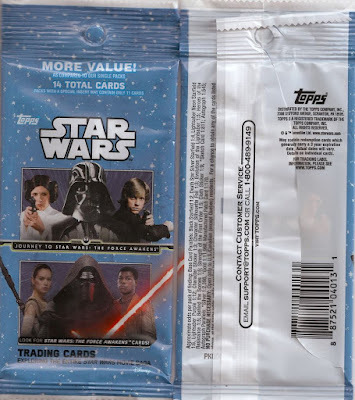 Ryan Daly and guest Kyle Benning discuss the new JOURNEY TO THE FORCE AWAKENS trading card set published by Topps. 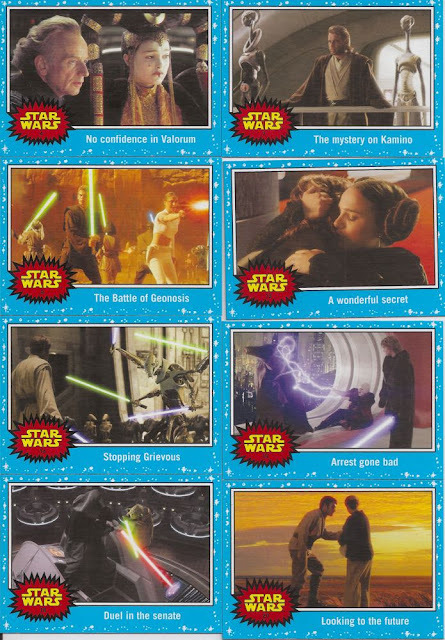 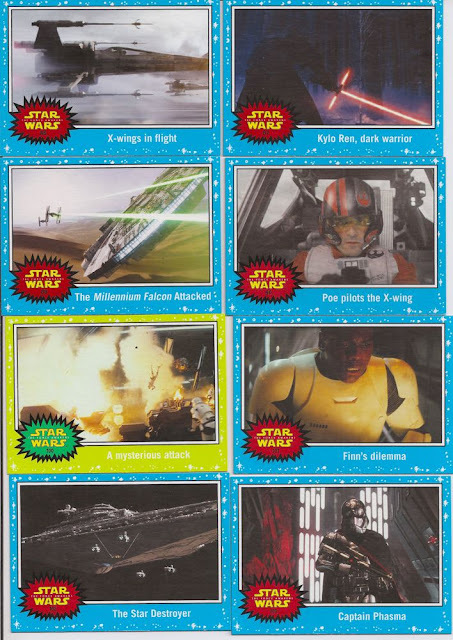 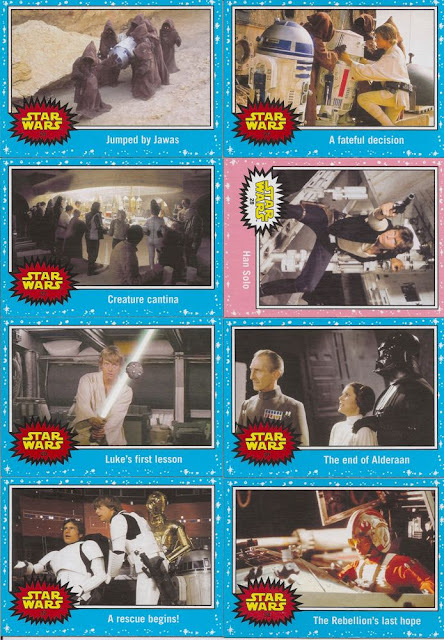 The series includes vintage-looking base cards recapping the original saga films, as well as preview images from the upcoming film. Also, sticker cards, foil cards, patch cards, and more. 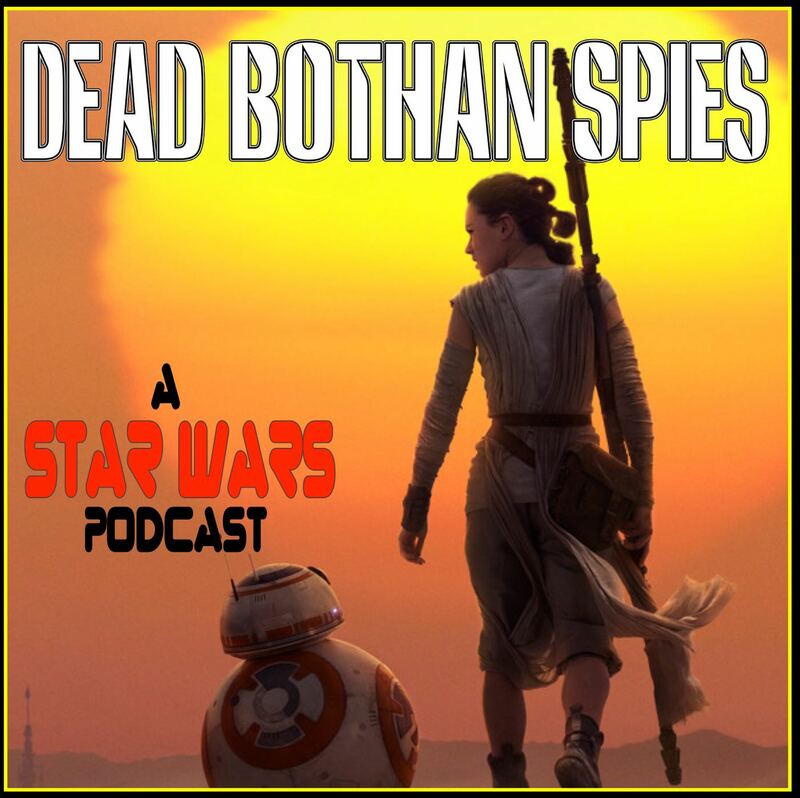 Plus, listener feedback. 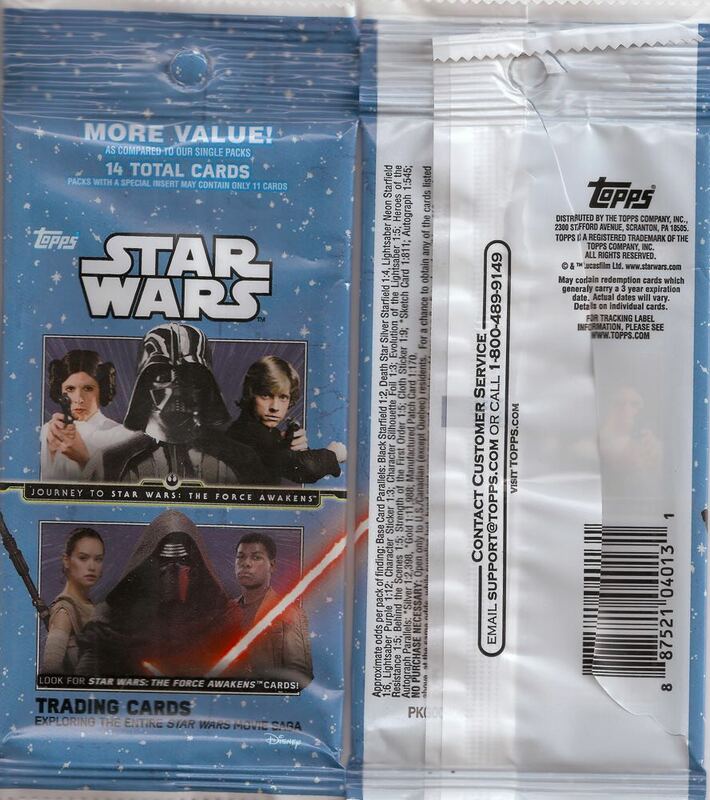 Packaging for the 14-card pack. Base cards from The Phantom Menace, Attack of the Clones, and Revenge of the Sith. 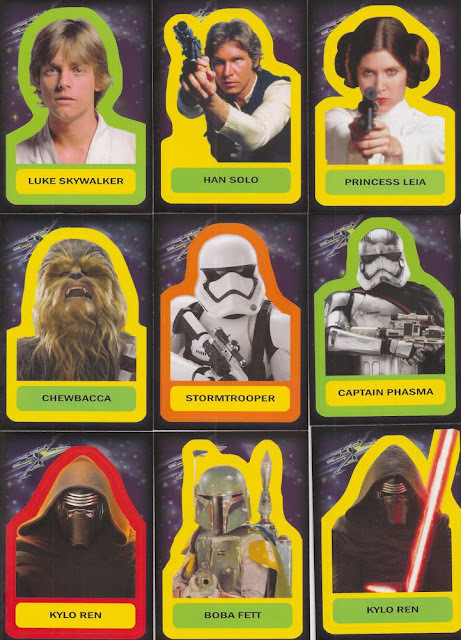 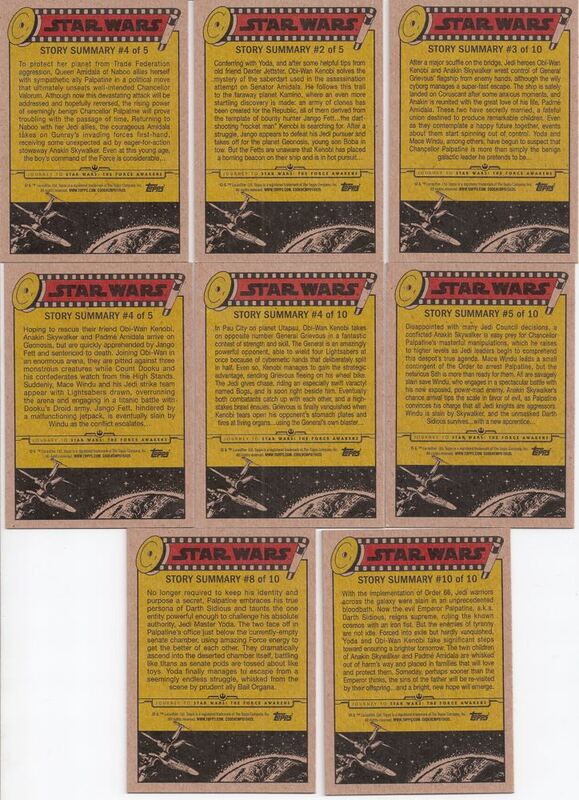 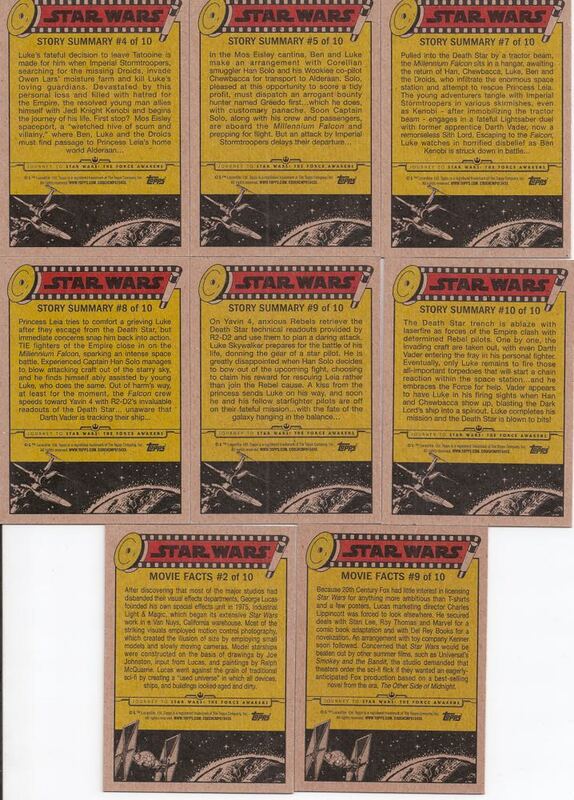 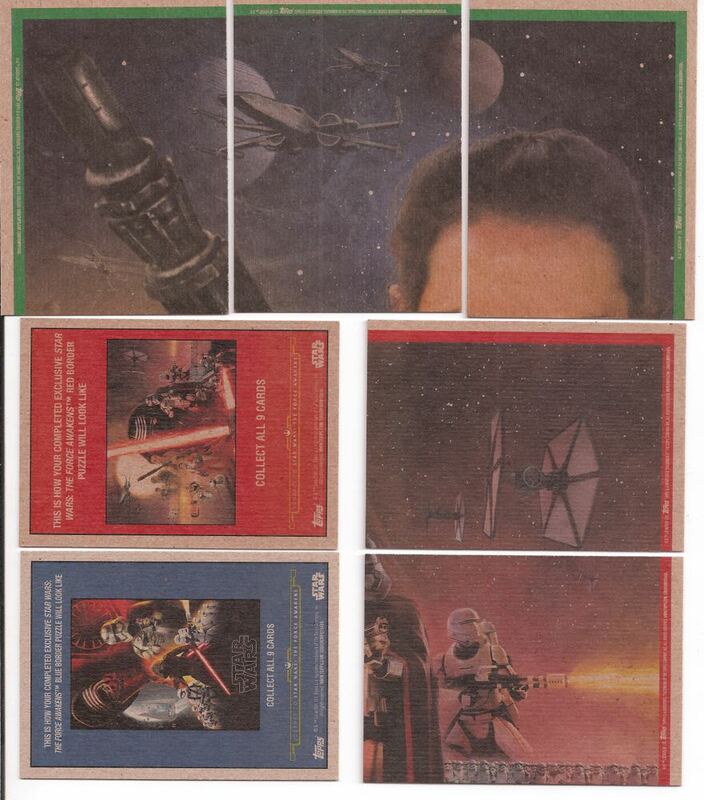 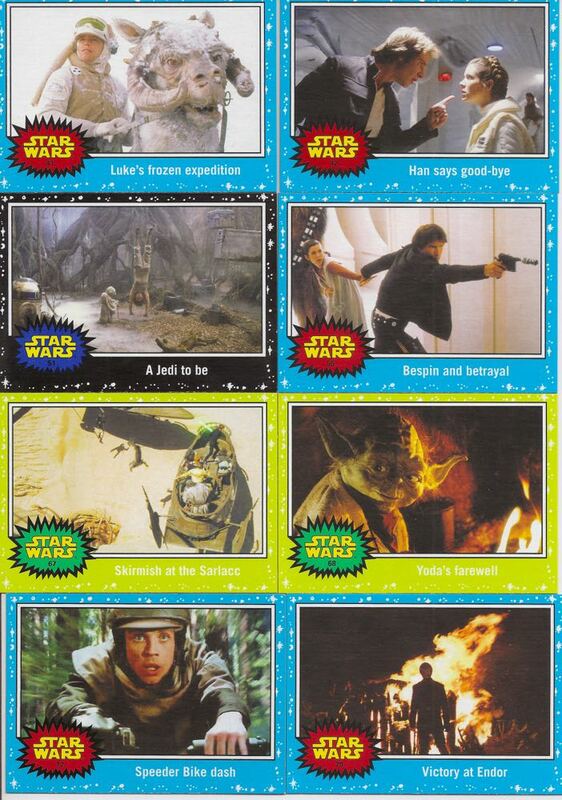 Base cards from Star Wars. Base cards from The Empire Strikes Back and Return of the Jedi. Preview cards from The Force Awakens. Rearview with connecting puzzle images. 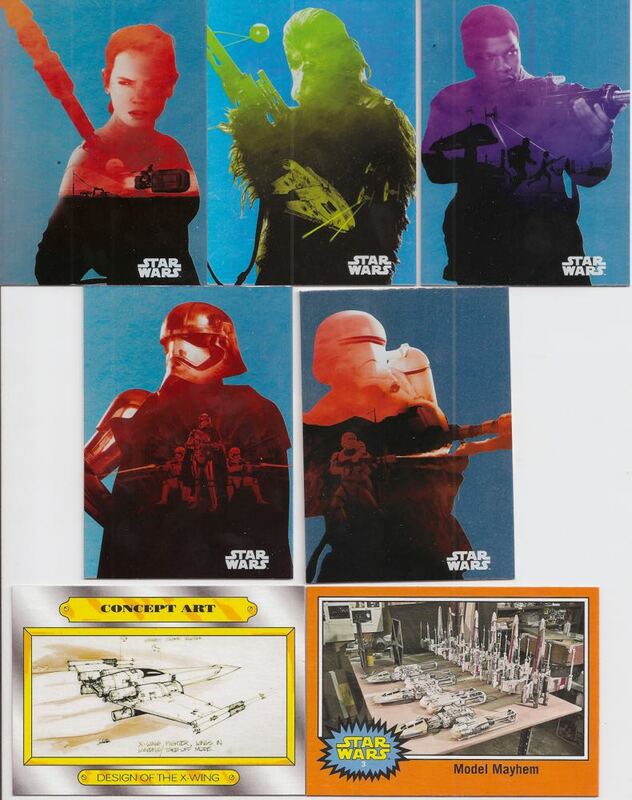 Foil cards (the reflective coating doesn't show on the scan), and concept art cards. 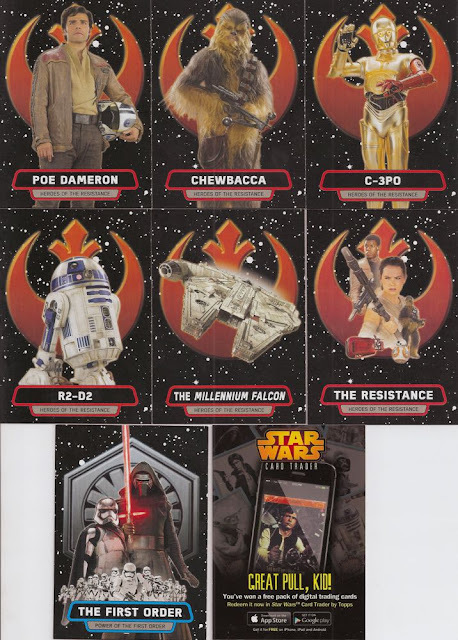 Heroes of the Resistance and Power of the First Order cards. 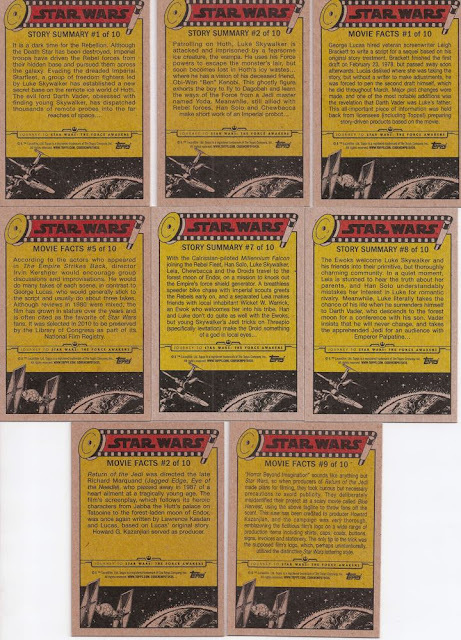 Check out Kyle's podcast, King-Size Comics, Giant-Size Fun!